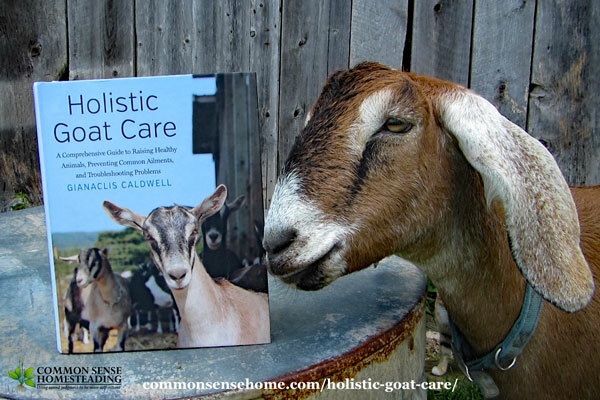 Holistic Goat Care delivers what the subtitle promises– “A Comprehensive Guide to Raising Healthy Animals, Preventing Common Ailments, and Troubleshooting Problems”. The chapters take you from understanding goat behavior to a breakdown of health problems, divided out according to the body system affected. 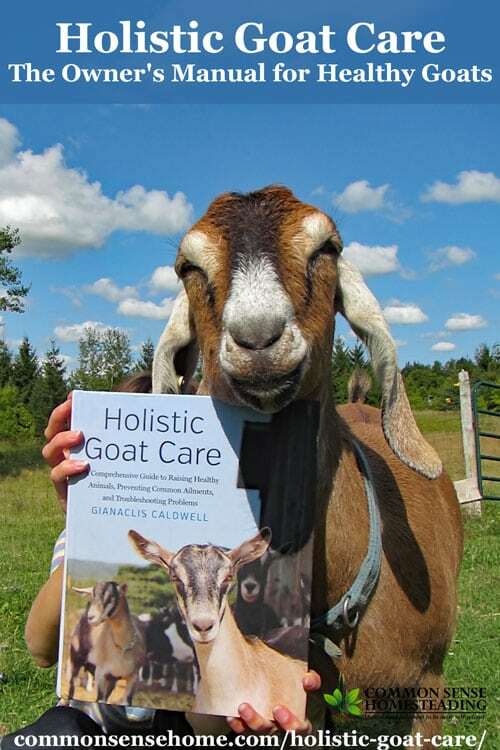 Gianaclis Caldwell intersperses technical information with personal stories of successful goat operations, which keeps the book from becoming just a bunch of formulas. She freely shares her own successes and failures. Gianaclis proposes that we attend to the fundamental health of our goats. By doing so, we greatly reduce the types of problems we experience. Life with animals is full of surprises. When something goes wrong, the glossary and index help pinpoint where to find help in the book. The suggestions given are concise, specific, and provide a range of treatment options. Extensive: It offers solutions as well as background information to understand what went wrong and why. This helps you develop management protocols customized for your situation. Entertaining: The technical information is interspersed with anecdotes and minutiae about goats. For instance, did you know that some island breeds of goats developed when Spanish sailors planted stock on the land, hoping to have easy hunting for return trips? These snippets make otherwise technical information much more enjoyable. Up to Date: Holistic Goat Care includes references to the Veterinary Feed Directive, which just went into effect in January 2017. (The VFD governs classes of pharmaceuticals for use in animal feeds.) The author seeks out current research and makes it accessible for application at the farm level. Fundamental: There is enough wisdom in this book to provide a foundation to improve your herdsmanship. It also suggests resources for further study on the management of goats. Homestead trends are cyclical, with interest waxing and waning like the moon. When the movement is on the upswing, a lot of the information passed around is simplistic, based only on personal experience, or simply repeating information from other sources. Gianaclis combines solid research and successful goat care experience. 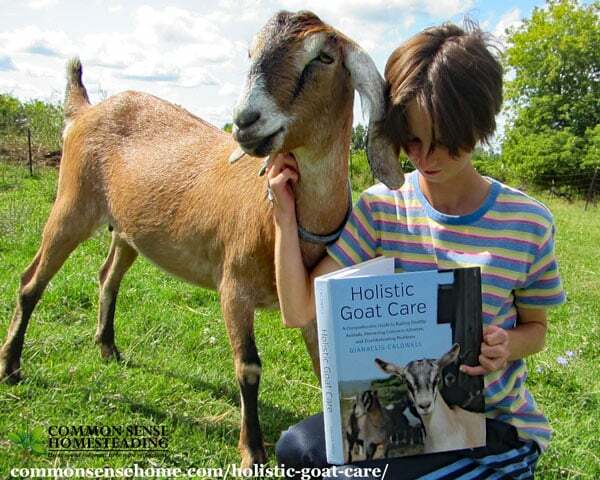 Holistic Goat Care gives the beginner building blocks for success while providing a more complex understanding of goat care for veteran goatherds. I plan to add this book to my small library of books that provide a foundation for success on the homestead. This is a guest post by Debra Ahrens and her daughter, Dominique. Deb is a dear friend of mine who supplies our family with farm fresh eggs and meat. We also support each other's gardening efforts and go in together on seed orders. When someone with a homestead critter runs into trouble that I haven't seen before, I call Deb. She and her family have been a blessing to us. Debra lives with her family on a five acre hobby farm in northeastern Wisconsin which she often describes as ‘short on hobby, long on farm'. Besides the School of Hard Knocks (Life), she attended UW-River Falls, majoring in Dairy Science. Along with her husband Jerry and their three youngest daughters, they raise every kind of domestic poultry known to man, and maybe a few that shouldn't be known. Their furry animal family includes a flock of Suffolk sheep, dairy goats, a few rabbits, their dog and a lone beef heifer, Thelma. 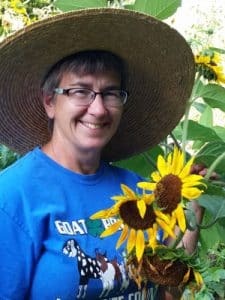 In her spare time, Debra is a poultry and sheep project leader for Kewaunee County 4-H.
Keeping Homestead Dairy Goats – What age dairy goat should you get? Breeding your dairy goat, Basic pregnancy Care, Kids and Weaning, Basic milking procedures and milk handling. Laurie, does your friend raise peacocks? I am needing more or better information about them. She doesn’t have any right now, but I can check and see if she has worked with them at all.